Over/Under: Over 145.5 at 1.91 Bet Now! 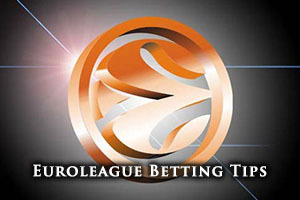 With a 2-1 lead in the series, Olympiacos know that a home win tonight will see them heading on to the Final Four. Denying Barcelona the chance to head to the home of their bitter rivals is definitely something that will add extra intrigue to the game but there is no need for the Greek side to worry or think about anyone else, this is a game that is perfectly set up for them to grab a win. When you take on board the fact that Olympiacos have won 8 home Playoff games in a row, a run which goes back to 2011, you have to think that they have every chance of doing so. The third game in the series was a nail-biting game and the 73-71 win saw the two defences stand firm against some great attacking play. Both of these teams have strong attacking players but so far, it has been the defenders who have taken more of the plaudits. Of course, you can’t really keep Vassilis Spanoulis out of the limelight and he has offered up an average of 15.5 points and 6.5 assists in the two games that the Greek side have won in this series. The win in Barcelona was monumental and if the home side do clinch a victory tonight, this will be the key point in the series. All of the other games saw the team with home-court advantage take a 2-0 lead so the away win by Olympiacos was monumental. Olympiacos are listed at 1.78 on the Money Line bet while Barcelona are listed at 2.10. 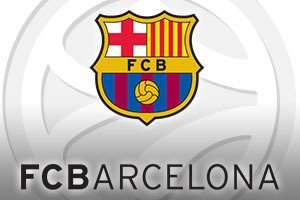 With respect to the handicap bet, you will find that taking Barcelona at +1.5, with odds of 1.87 is a decent bet. The close nature of the handicap bets indicates that even the bookmakers are struggling to predict how this tie will pan out. The fact that Olympiacos have won two games in a row and they know that they need to win tonight to avoid a trip back to Catalonia but even with all that in mind; it is not possible to write off Barcelona. There is a very good chance that this will be a close game that runs to the wire yet again on Thursday night. If you are looking to get involved with the Over/Under market, you probably want to bear in mind that neither team wants to lose this game and there has been a lot of good defensive work so far in the series. One passage of play could blow this wide open turning the game into an open affair but at the moment, you can see this being a very tight game. You should be looking to go UNDER 145.5 at odds of 1.83 If however you think that the desire to win will see both teams throw caution to the wind, going OVER 145.5 is available at odds of 1.91. Bet Now!